← Come, let us go up!! 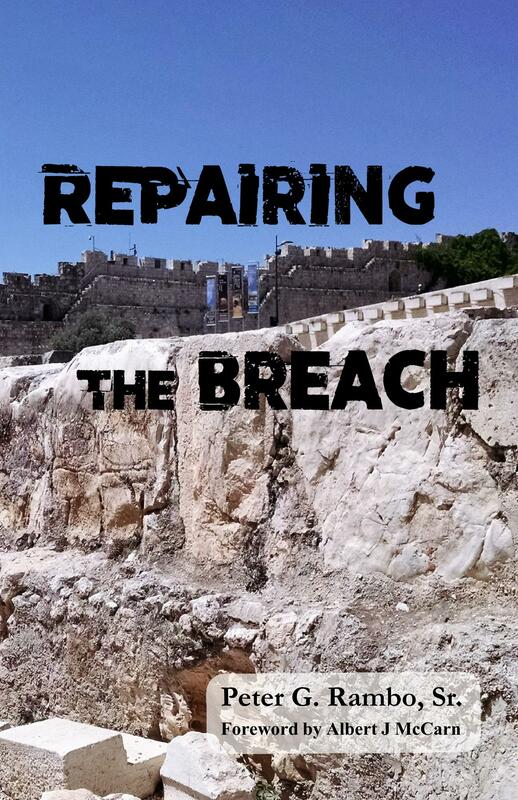 The last few weeks have been a flurry of final editing and finishing details for Repairing the Breach, a book I have wanted to publish for a while. I designed it as a critical look at numerous doctrinal and historical pieces of church history that should help lead the reader to the simple, but long hidden basic truths of what it means to walk as the Messiah walked and what the implications are when we begin to do so. I believe this book is something you can hand friends and family to help them comprehensively look to and assemble these pieces that lead to a full reformation of Christendom to the Hebrew roots of our faith. Hard copies should be available on Amazon.com in a few days, watch for the announcement, but for those who can’t wait… Here it is on Kindle. [Update: Repairing the Breach is now available at Amazon.com.] You can also purchase directly from Create Space, the publisher. For orders of six or more, there is a discount code in the side bar to the right. This entry was posted in Book Recommendations, Debate/Discussion and tagged author, church history, Hebrew Roots, new book, Repairing the Breach, Truth. Bookmark the permalink. I was wondering where you have been. I’ll be checking Amazon daily for the hardcover. I’ll put an announcement up on the blog when it is available. My husband and I are so looking forward to reading the hard copy of your new book! AND meeting you in Mesa, AZ in Feb. 2017! Praise Abba for brothers like you! Thank you for your kind words. Looking forward to meeting you as well. Congratulations Pete! I hope and pray this book will accomplish every intent and purpose that you wrote it! Look forward to reading it! Watching for a hard copy. Yah’s blessing on getting this word out there!